This post from dentist Wes Yemoto DDS in San Jose looks at dental implants. They’re a significant step forward in dentistry. 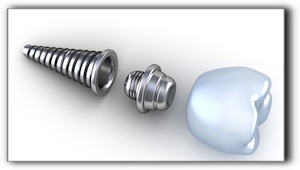 Looking into how much dental implants cost and getting a simple answer can be frustrating. But there is a reason for that. It can be confusing to research the cost of getting a dental implant and finding nothing solid on the web. But there’s a reasons why most dental practice sites don’t publish the cost of tooth implants. The number of teeth being replaced may be more than the number of implants needed to cover that section of the mouth. Tooth implant dentists want to offer accurate pricing rather than scare you away with higher estimates. It takes an easy consultation to review dental history, evaluate needs and establish a treatment plan. This could mean a more efficient surgery with fewer implants. While dental implants really are the state of the art in tooth replacement, much better than a bridge or denture, sometimes the method won’t be what you thought it was going to be, or maybe you aren’t a good candidate for the process. A ballpark number might be possible to post on the internet but the changing cost of supplies and lab fees make it impossible to guarantee an accurate price for full mouth dental implants. Dentists who offer implants can precisely calculate dental implant surgery rates based on current prices when you come in for a consultation. Please make an appointment with Wes Yemoto DDS in San Jose to find out more about dental implants. We also provide general dentistry. Call us today. Great with children! My 5 yr old daughter was very nervous. She was spoken to with kindness and even got to hold the juice sucker! I've been going to Dr. Yemoto for about 40 years. He and his office staff are the best! I would highly recommend. Robin was able to schedule on late notice. Thank you for that. As always, everyone in the office is friendly but professional. All areas of the office appear to be immaculate. Always a happy visit. Prompt, courteous, and gentle... What more can you ask of a Dentist? I have been going to Dr. Yemoto for years. He and his staff are wonderful. They provide high quality care with friendliness and warmth. I've been going there my whole life...44 years...GREAT people and first class service. San Jose dentist Dr. Wes Yemoto and his team provide exceptional cosmetic dentistry, Invisalign clear braces, sleep apnea and snoring treatment, general dentistry and so much more to their patients. They even provide sedation dentistry for patients who request it. They serve patients from all over the San Jose, California area including the cities of Los Gatos, Cupertino, Campbell, Morgan Hill, and Sunnyvale, CA and zip codes 95123 and 95118.